The success or failure of any party or event is found in the tiniest of details. It is the little things that count. There are a barrage of calls that have to be made or answered, from flowers to food, linens to limos, rehearsals to rsvp’s and everything in between. Keeping track and on top of the details is a 24-hour job. You need an army of assistants, but who can afford that? You can! 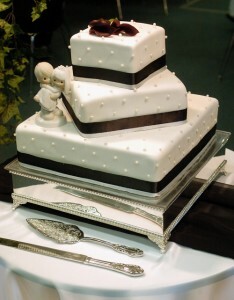 Using Call Center Plus as your live 24-hour wedding planning or party planning answering services gives you just that. How, you ask? When you use Call Center Plus as your 24-hour live wedding planning answering service or party planning answering service you get our staff 24/7/365 for about the same price as what you would pay one assistant who only works 8-9 hours a day. Any other little (or big) jobs you may require. When you hire Call Center Plus you receive all of our services, all of the time. We customize your account to meet your exact needs. We deliver the messages we take for you via fax, email, SMS text, or any combination of these to as many contacts as necessary all at one time. In every business cost is always a factor, but we make it simple. We bill every 28 days. You are charged a nominal account maintenance fee and then for the operator time you use. We round to the nearest second, not minute. You are not obligated to sign up for a set number of minutes to pay for. You are not obligated to sign a contract committing you to stay with our services for a specific length of time. Let Call Center Plus be your Wedding Planning Answering Service.